Square with rounded corners and with navy blue center surrounded by white border. Impressed STERLING. Octagonal with white central diamond surrounded by medium blue and with a white border. Impressed STERLING. Circular with purple center and divided black border. Impressed STERLING. Circular with red center surrounded by white border. Impressed STERLING. Octagonal with solid red guilloche enamel. 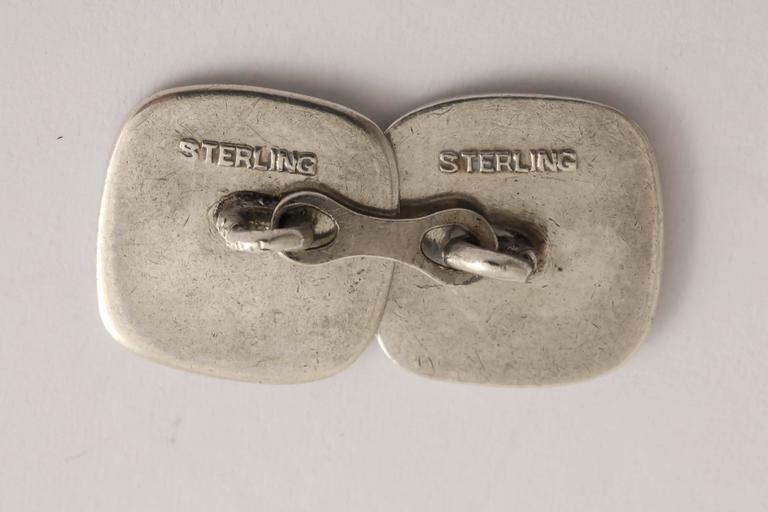 Impressed STERLING. 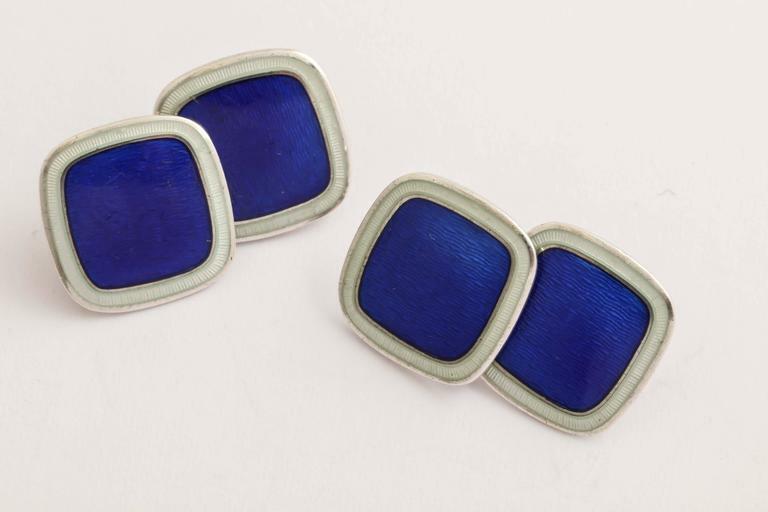 Guilloche enamel contemporary wasp design cufflinks. Handmade in England for Campanelli & Pear. Weigh 12.6 grams. Oval measures 14mm x 19mm. 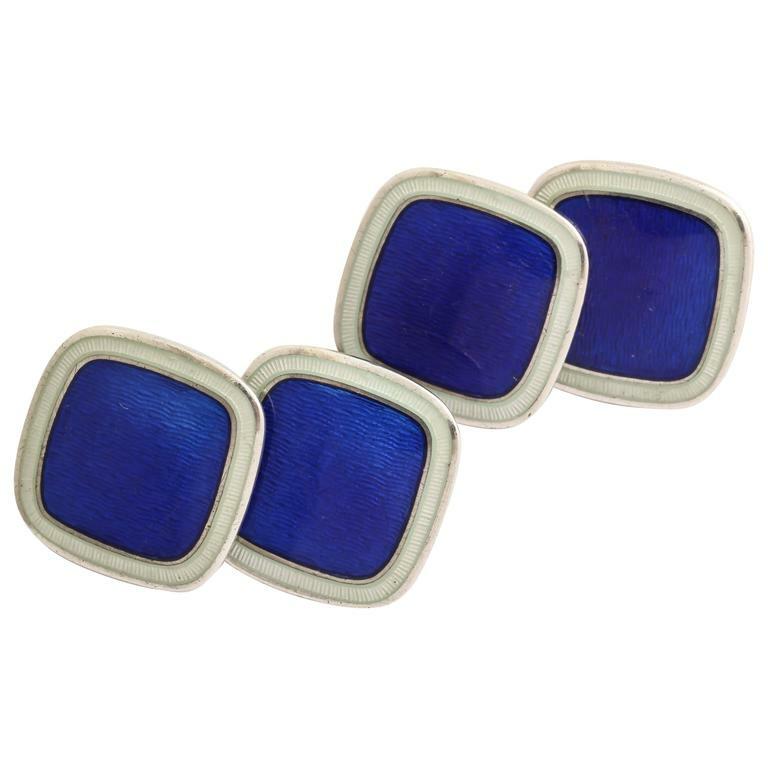 Beautiful Guilloche enamel contemporary design cufflinks. Handmade in England for Campanelli & Pear. Weighs 12.6 grams. Oval measures 14mm x 19mm. Beautiful Guilloche enamel flower design cufflinks. Handmade in England for Campanelli & Pear. Weighs 12.6 grams. Oval measures 14mm x 19mm. 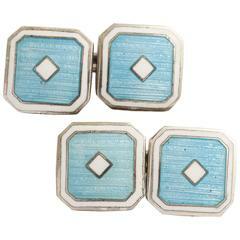 Beautiful Guilloche enamel criss-cross weave design cufflinks. Handmade in England for Campanelli & Pear. Weighs 12.9 grams. Oval measures 14mm x 19mm. Beautiful Guilloche enamel contemporary spiral design cufflinks. Handmade in England for Campanelli & Pear. Weighs 12.6 grams. Oval measures 14mm x 19mm. 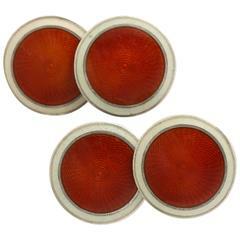 Beautiful Guilloche enamel contemporary sunburst design cufflinks. Handmade in England for Campanelli & Pear. Weighs 16.5 grams. Measures 17mm x 17mm. 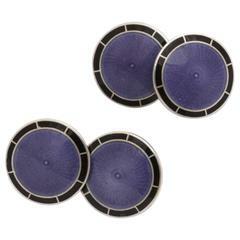 Beautiful Guilloche enamel sunburst cufflinks. 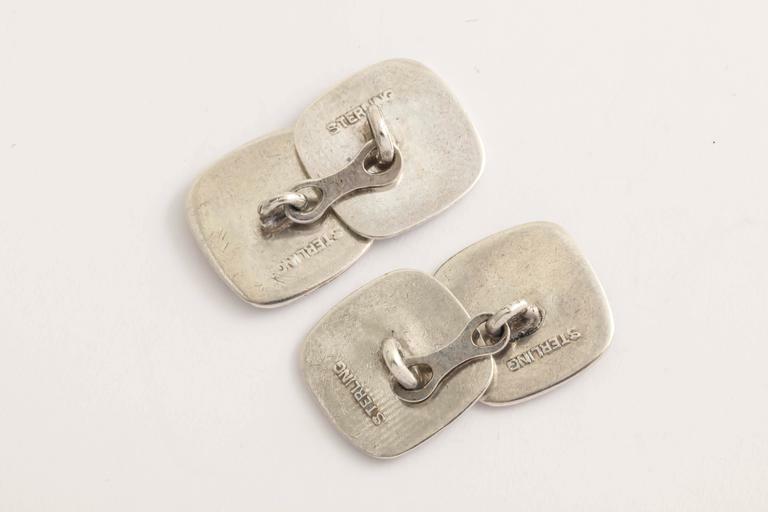 Handmade in England for Campanelli & Pear. Weighs 12.6 grams. Diameter measures 17mm.